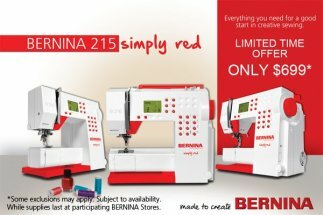 Anniversary Celebration - Final Week! 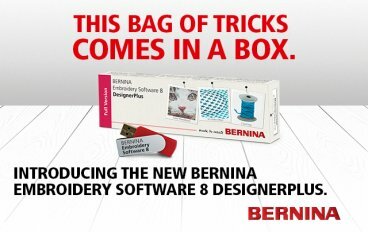 Save $100 off MSRP on BERNINA Embroidery Software V8 or V8 Update! Versions 5, 6 & 7 can be updated to V8! If you shop online and download from the OESD website (Embroidery Design Studio), use promotion code SQ15OFF for 15% off your next order - good only through September 30! Quilts For Kids is an organization of volunteer quilters who transform fabric into patchwork quilts to comfort children in need. Local chapters of this organization provide quilts that stay within the community. 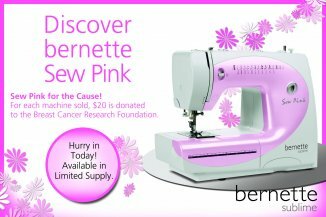 This is a great organization for anyone who loves to sew for others and for the new quilter that wants guidance and practice. 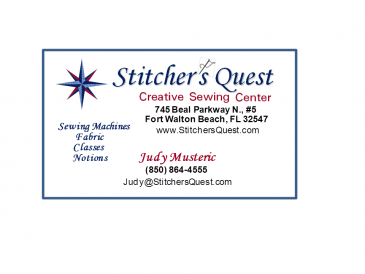 Stitcher's Quest would like to sponsor a local chapter. If you are interested in hearing more about this organization, plan to attend our first meeting this Saturday, October 1, at 10:30. Stitcher's Quest will be closed October 8-10 for Columbus Day Weekend. Beginning Quilting - 6 lesson Daytime Class! 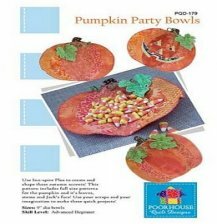 Make this fun party bowl for your seasonal gatherings!